Tickets have just come available for the secretive, celeb-beloved Savoy Truffle supperclub's first pop-up, a London Restaurant Festival-timed affair to be held in an undisclosed North London location for five days this October. 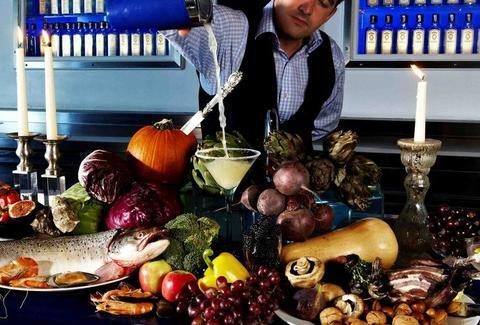 The details of the five-course, wine-paired seasonal feast are being kept under wraps, but things will kick off with a mixologist-manned "Cocktail Kitchen", where guests will be aided in bespoking their own gin drinks -- as if you need professional help to say "More. A little more...that's too much. Just kidding, more."